One of my Christmas presents was the Collector’s edition of The Record of Agarest War for the Xbox 360. One of the items within is this glorious boobie mouspad. It’s actually quite cozy. 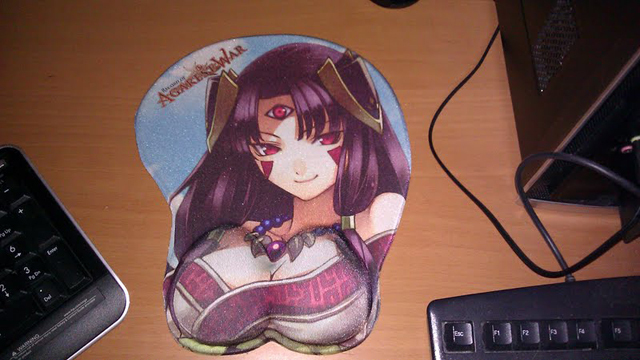 I realize mousepads are irrelevant now and I haven’t used one in years…although how can I resist one as wonderful as this? The game is pretty good too btw.